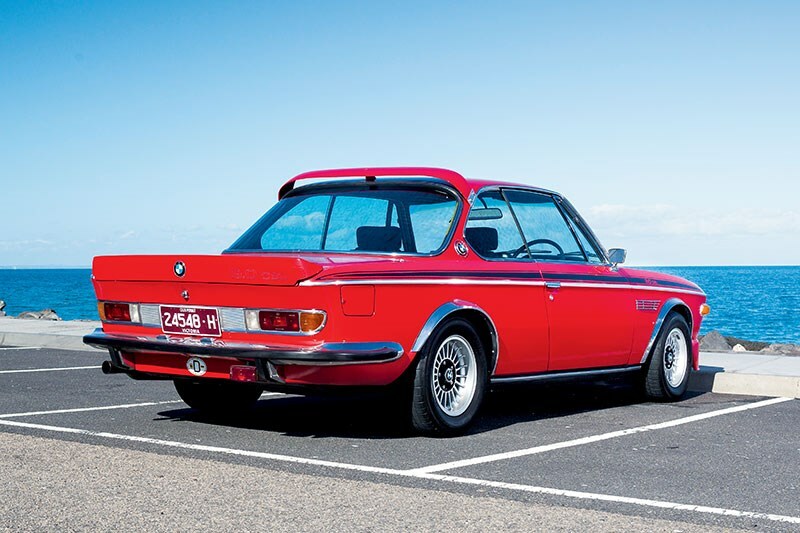 Low slung, with pencil-thin pillars and a straight-six driving the rear wheels, the BMW E9 CSL coupe was a homologation special designed to get to the sharp end of European touring car grids. 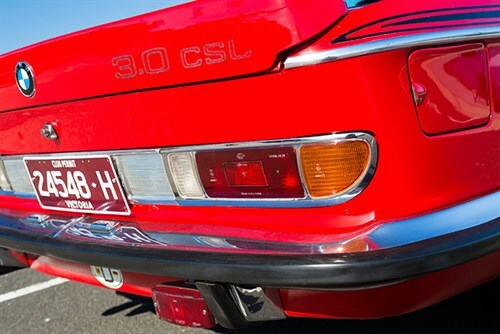 Spawned from the pretty but rather more prosaic E9 CS coupe, the CSL (The L stands for leicht or light) enjoyed a production run of just 1265 vehicles, built across three different series between 1971 and 1975. 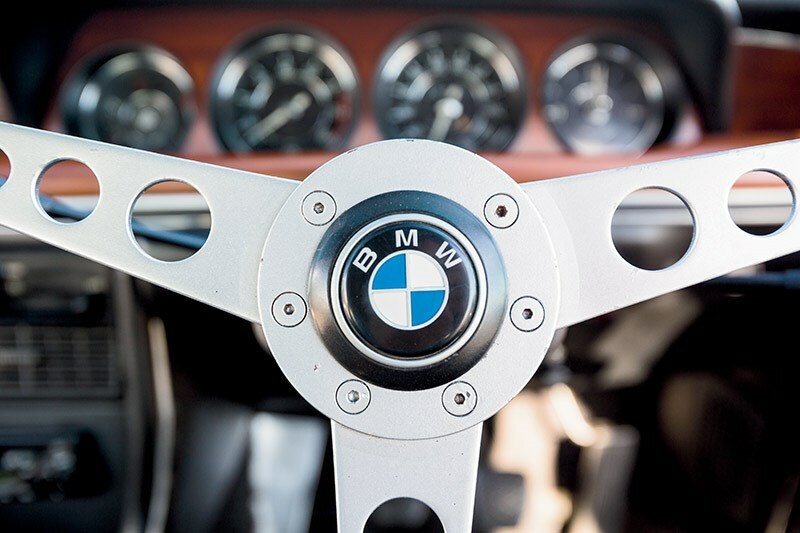 BMW found them tough to sell and sent almost half the allowance to the UK, where the importers had to come up with all sorts of novel schemes to offload the things. Part of the problem was that they were hideously expensive. Back in 1973, one of these cost £7,399, at a time when the average house price in the UK was £10,990. Extrapolated to an equivalent today, this would be a £185,000 (A$400,000) car. It was, in many regards, the equivalent of something like a Porsche 911 GT3 RS today. Cars from the first batch were the ones for the purists. Just 169 were built, the Karmann plant in Rheine fitting aluminium doors, bonnets and bootlids, using thinner gauge steel and glass elsewhere and cutting back on sound deadening, rustproofing and pretty much everything in the way of creature comforts. A handy 136kg was shaved from the kerb weight of the CS, early CSLs tipping the scales at just 1270kg. All left-hand drive, this first run of CSLs featured the 2985cc six, this engine later being bored out by a quarter of a millimetre to 3,003cc to allow BMW into the over 3.0-litre racing class. 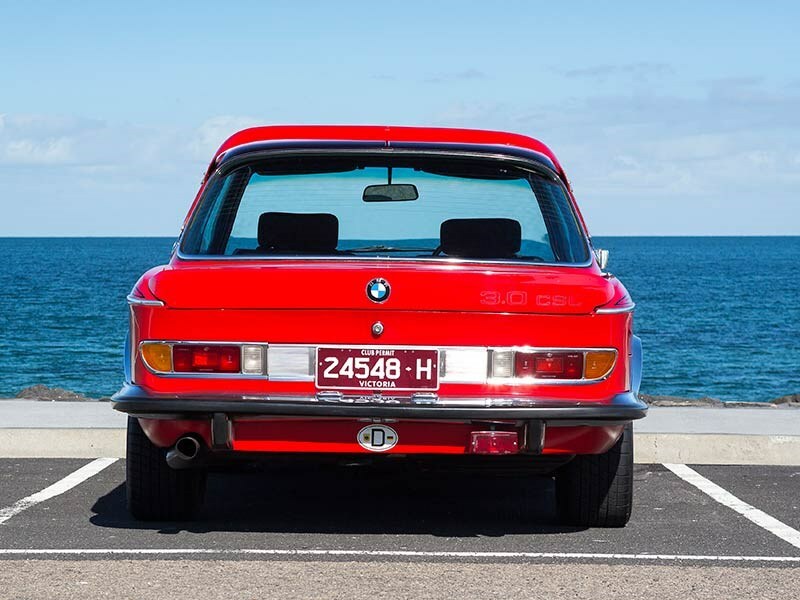 It was only when this engine was fuel injected in 1972 that it was sold in right-hand drive guise and shipped to the UK with the City Pack of extras that BMW thought might help it justify that huge price tag. Now, you might know the E9 CSL as the Batmobile but before you get a dressing down from your local BMW nerd, it’s worth remembering that only the final series of the three, with the 3153cc engine and the wing pack are, strictly speaking, the recipients of that moniker. The car you’re looking at here is a bit of an odd one. It’s one of only two right-hand drive 3.2-litre CSLs ever built but doesn’t wear the aggressive Batmobile spoiler kit or bonnet-mounted ‘air guides.’ In fact, German road laws meant that the Batmobiles were sold with the rear wings in rather than on the boot, BMW realising that by leaving owners to affix the wings, they sidestepped the TÜV rear visibility rules. 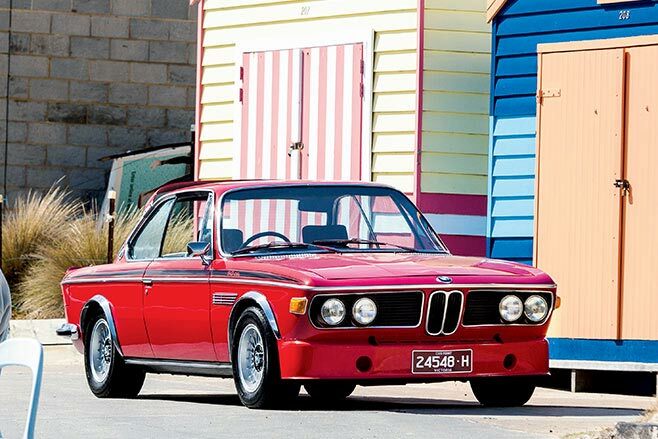 This 1973 example was delivered to BMW Mayfair in London and transferred to Australia in the late 1970s. 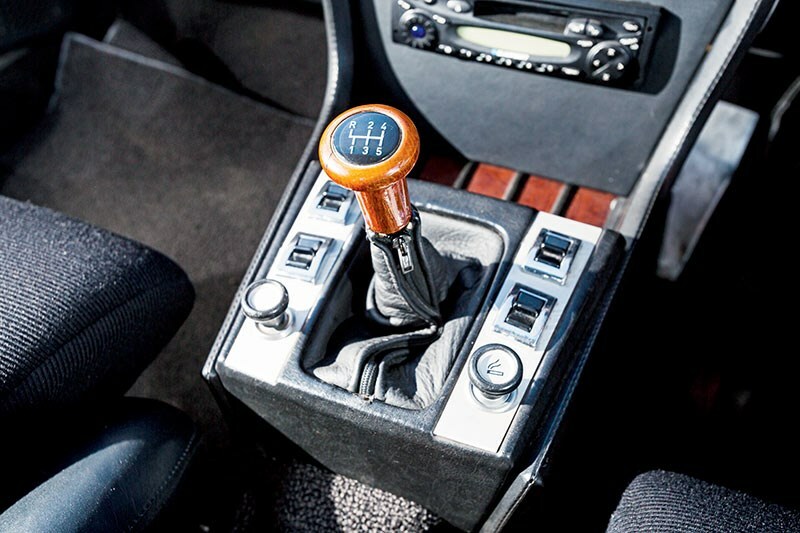 It underwent a ground up restoration in the early ’90s and has won a series of awards at car shows around the country. Unfortunately it’s not 100 percent original as the lump is a later 3.5-litre BMW Motorsport unit. Yep, it goes a bit harder as a result and was sold with the original block and crankshaft for those with a thing about matching numbers, but it remains an achingly desirable piece of kit. 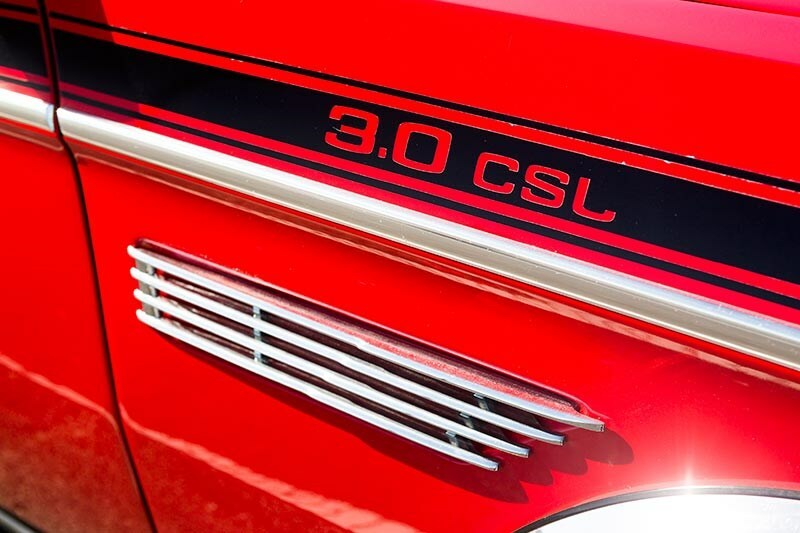 There’s even a factory precedent for the CSL running a 3.5-litre lump, with the wildest race versions using this capacity for entry into the Group 5 Special Production class in the World Championship for Makes. It’s fascinating to see which elements of this landmark car have carried over into modern BMW design and which aspects have been left in the ’70s. The double kidney grille, the Hofmeister kink in the rear side window, the air vents behind the front wheel arch, the BMW roundel in the centre of the bootlid with model identifier on the right, even the fundamental relationship between steering wheel and pedal set have carried over into a modern M4. Where the CSL differs is in its basic proportioning; the low waistline and thin pillars giving the cabin an airy feel that the claustrophobic M4 singularly lacks. 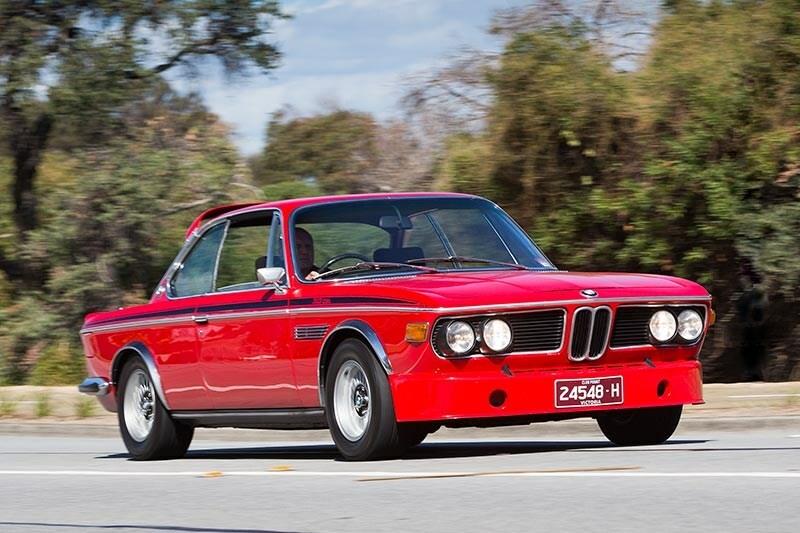 As much as anything, the E9 CSL speaks of a period when BMW thought it could achieve anything. Virtually everything that made the Munich company so audacious, so exciting and so forward-thinking in the 1970s had the unmistakable imprimatur of one man: Jochen Neerpasch. Sure, not all of Neerpasch’s projects were commercial successes. The M1 supercar was, at the time, a case study in missing open goals, but the E9 CSL, the famous BMW art cars and the whole Motorsport division would never have happened without the guiding hand of the quietly-spoken man from Krefeld. Of course, Neerpasch did what all great bosses do and surrounded himself with talent. He brought Hans-Joachim Stuck with him from Ford, had genius engine builder Paul Rosche on board and wrung every ounce of feedback from race greats like Derek Bell, Ronnie Peterson and Chris Amon. Neerpasch quickly realised the publicity benefits of these racers driving CSLs as their dailies and loved stories of Derek Bell outrunning local police or being photographed at full oppo on the road up to Val d’Isere. Buoyed by the fact that the CSL was starting to have a halo effect on other BMW products, Neerpasch later realised how best to formalise the link between motorsport success and the marketing of road cars with the first M5, which used carryover engines from the M1 project. "We sold 2700 in the first year," he says proudly. "The marketing people thought customers wouldn’t pay extra for this, and anyway they said it wasn’t a good idea to name a brand after an English motorway. But people believed it was special and they knew it had to cost more. After that, we cut two cylinders off the engine and made the M3." It proved a huge money spinner but none of that would have been possible without the circuit success of the CSL. 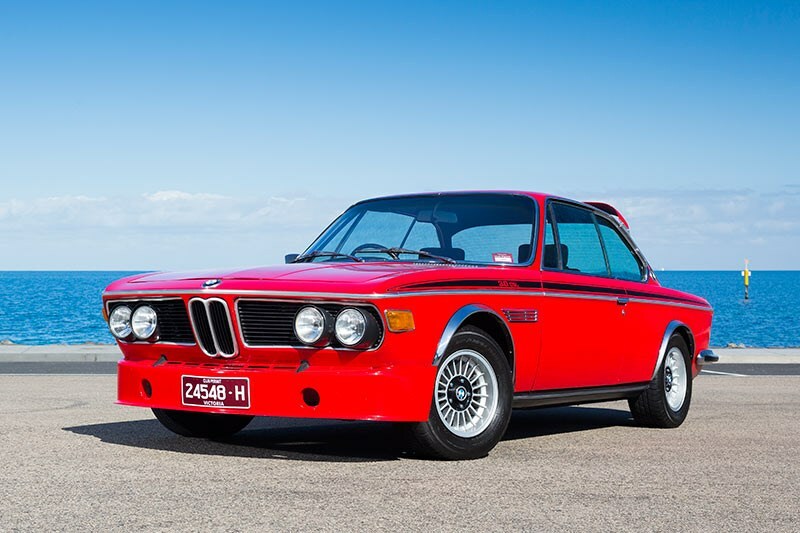 It realised BMW’s ambitions of sticking it to Ford on the race track, with Toine Hezemans winning the 1973 European Touring Car Championship, also co-driving a 3.0 CSL to a class victory at Le Mans with Dieter Quester. The CSL also took a one-two at the prestigious 1973 German Touring Car Grand Prix at the Nürburgring, with Stuck and Amon combining to take the chequered flag ahead of Hezemens and Quester. In time, the CSL became virtually unbeatable, dominating the European Touring Car Championship from 1975 to 1979. It even scored successes in the IMSA GT Championship in 1975, with Sam Posey, Brian Redman, and Ronnie Peterson notching some notable scalps. Auction values for tidy CSLs vary considerably. Bank on around $130,000 for a tidy matching numbers example without the body addenda, with a provenance concours condition Batmobile capable of fetching over $300,000 on the right day. Most valuable of all are the two art cars, but BMW isn’t selling. Forty years ago French racing driver and art enthusiast Hervé Poulain asked American artist friend Alexander Calder to paint his BMW 3.0 CSL race car. Poulain approached Neerpasch who gave the project the green light. 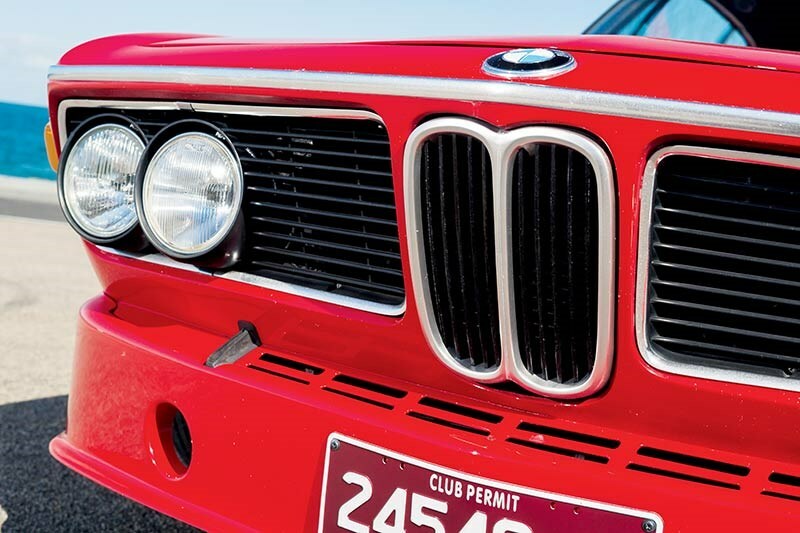 Calder was best known as a sculptor, and when faced with the unchangeable shape of the BMW, instead decided to create sweeping swatches of colour to visually break up the car’s silhouette. In 1976, artist Frank Stella took a different tack. 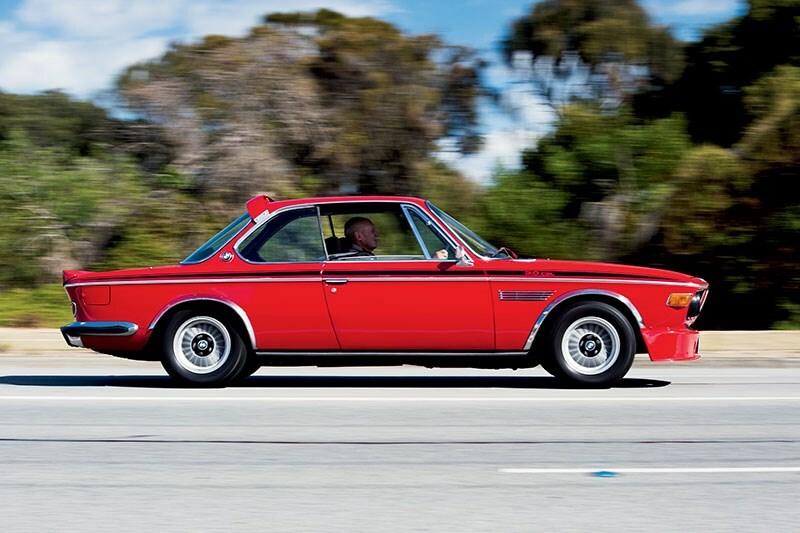 Inspired by the technical genius of the CSL, he transposed a graph-paper like design onto the second art car. It’s one of the most popular of all the BMW art cars with Stella claiming, "My design is a kind of blueprint applied to the entire body of the car." 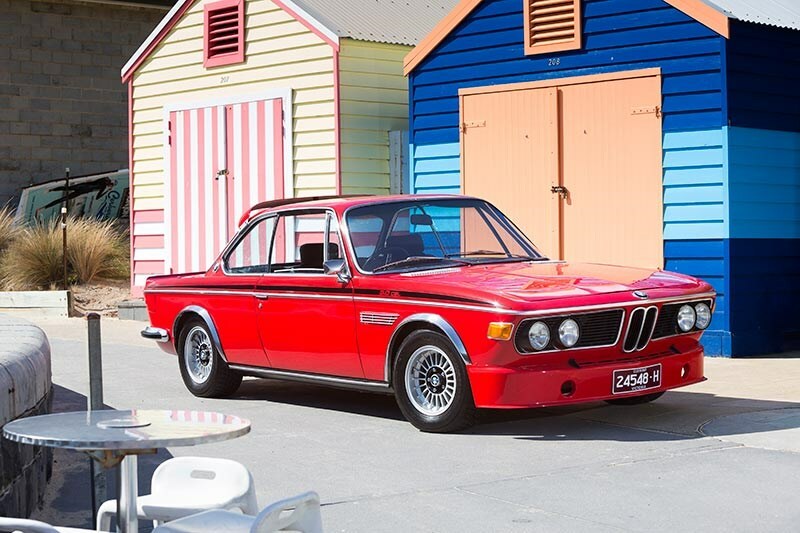 The CSL made a beautiful canvas and today its elegance and inherent rectitude in its basic proportioning means that it’s still a car that twangs on the heart strings of enthusiasts. It’s the doyen of BMW coupes, with a gossamer lightness overlaying old-school Bavarian Bauerhaus brawn and it’s just this yin and yang about its character that makes the CSL so intriguing. 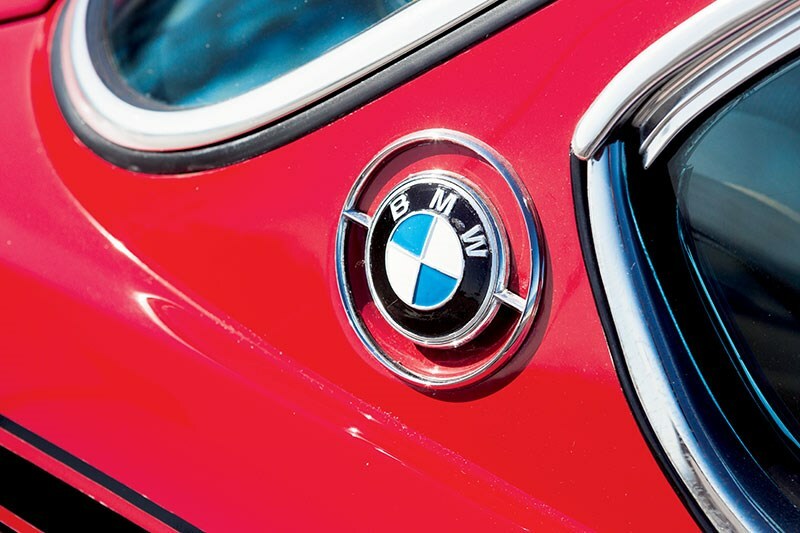 BMW’s spent four decades trying to improve on it. Long may it keep trying. Rust. Lots of it. In order to cut weight, rustproofing was neglected by Karmann for many bodies. Ex-UK right-hookers will need to be very carefully inspected, especially around the sills, wheel arches and door pillars. 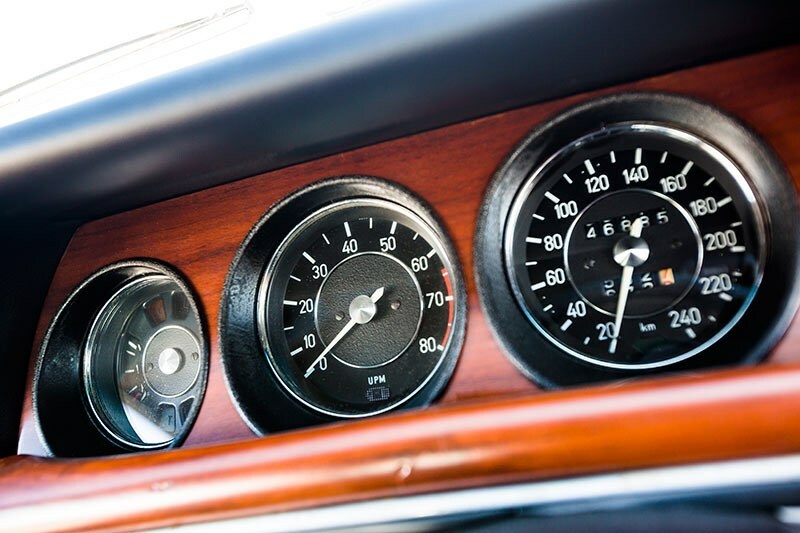 The engines could be temperamental and overheating is often the sign of a cracked head. 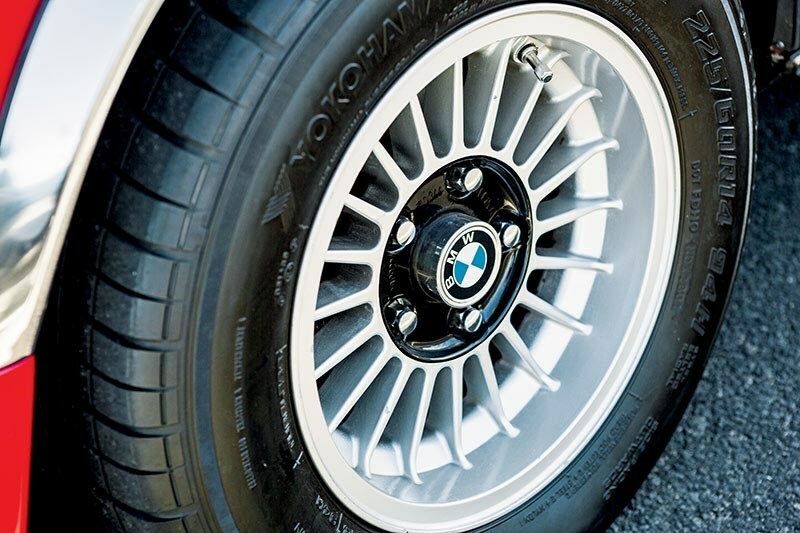 Interchangeability with other BMW cars is extensive and many performance upgrades are available. 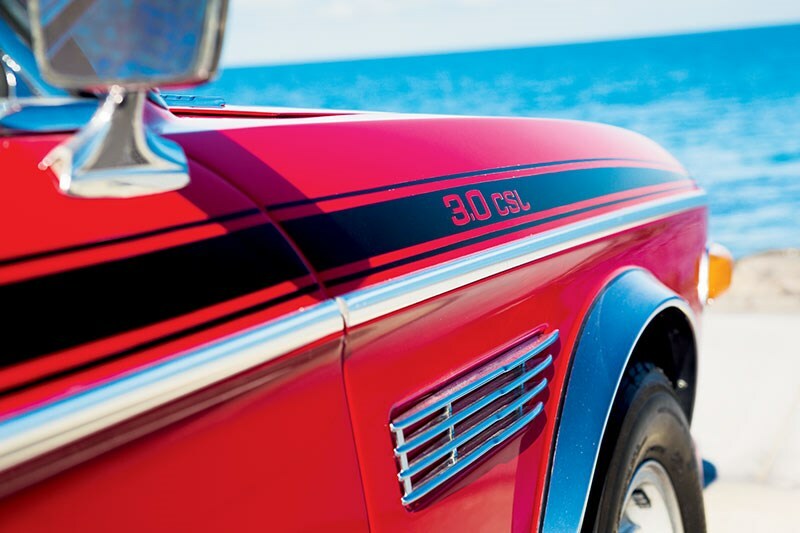 Swapping in a later M30B34 3.5-litre engine doesn’t affect values significantly and adds both durability and performance. If you can't beat it, repeat it seemed to be the philosophy with the BMW CSL Hommage that proved the headline act at the 2015 Villa d’Este Concours d’Elegance. Finished in a lurid green colour scheme, the Hommage reappeared at this year’s Pebble Beach in a more Motorsport ‘R’ guise, the livery being a riff on Brian Redman’s Sebring-winning ’75 CSL. We want one.